Size: 36 in. x 70 in. 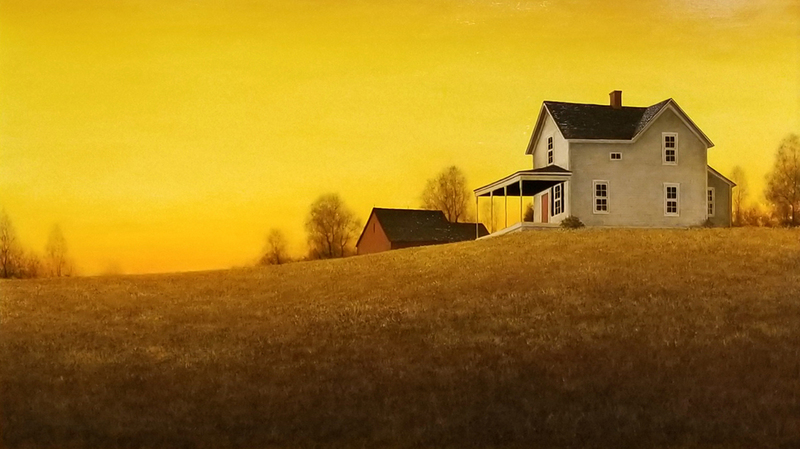 Michael Fratrich treats us to another incredibly colored sky as a backdrop to a comforting – homey piece.